Another busy, hands-on, exhausting, science filled camp week has come to an end. Last week was filled with great activities – dismantling a variety of electronic items, exploring flight and air pressure, creating toys that demonstrated scientific principles – and even more great memories. One camper came to me at the end of every activity block to give me a high five to show me his appreciation. One camper’s creative mind came up with an exhibit prototype that combined history and science creating a science time traveling device. Another camper came to me each day insisting on showing me a new exhibit he discovered in the science center during free explore time (even though I have worked here over twenty years). 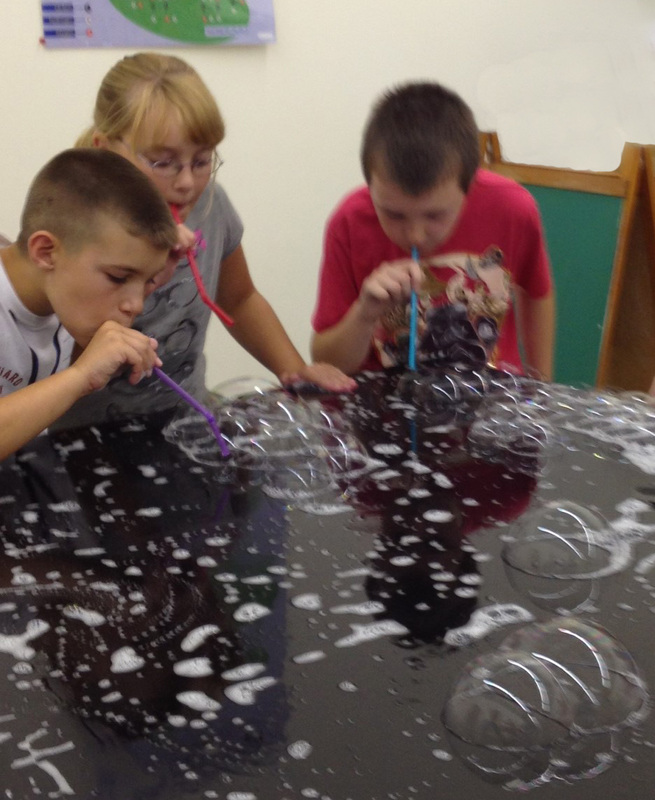 Our campers were engaged, inventive, sometimes a little loud and crazy, but always fun. I will miss this batch of campers and our week together. Luckily, Camp Summer Science Week 2 starts today! By seesciencecenter in Uncategorized on July 22, 2013 .